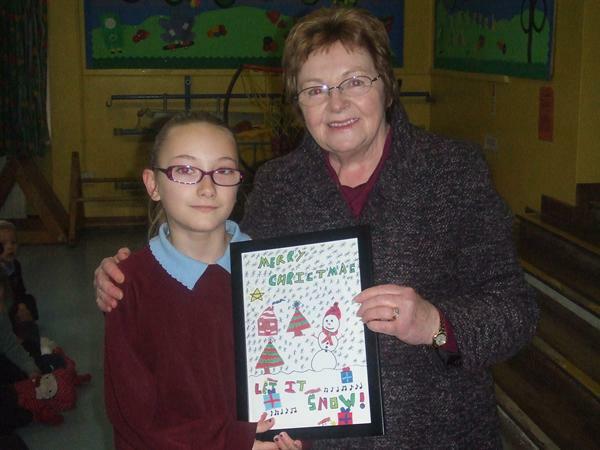 Councillor Joyce visited school today to announce that a child from our school won the Christmas card competition run by the council. The card will be distributed all over the UK this Christmas. Well done!